New Father’s Day Page Set! Happy Friday everyone! We have just released our Father’s Day page set for 2016. The new page set is completely customisable so you can alter it to suit your business and customer needs. It’s absolutely fine for you to use the images displayed in the example page set however it’s best if you change them to represent your own work. This will give your customer a great example of what they are investing in and also show your individual style. We’ve given two offer ideas to help you get started including a family portrait session and a new dad baby package. These are designed to give you some inspiration that can then be altered to suit your business specialities. 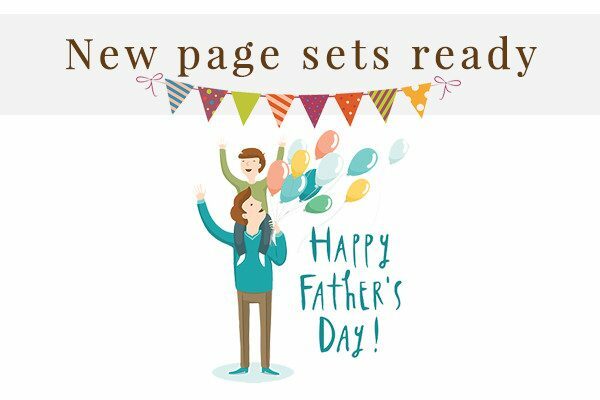 It’s incredibly easy to install the Father’s Day page sets. so check it out now and get those offers out there. It’s never too early to start selling!